The strategic sales consulting firm Resolutions Systems Inc. has named a new chief operations manager to help the firm provide seamless support to clients and prospects. She will be responsible for the company's accounts receivable and accounts payable systems, payroll, database management and sales support systems. Resolutions Systems Inc., a strategic sales consulting firm, today announced that it has named Heather Kivett as the company's new chief operations manager. 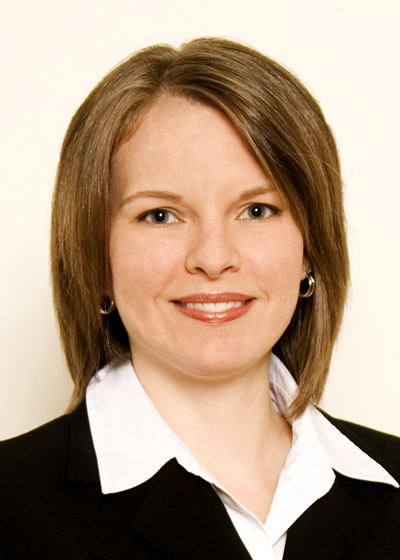 Heather joined Resolution Systems in 2005 with a background in business management and finance. In her new role, she is responsible for the company's accounts receivable and accounts payable systems, payroll, database management and sales support systems. "Heather has a proven track-record in operations and in the systems that enable us to provide seamless support to our clients and prospects," said Barrett Riddleberger, founder of Resolution Systems and author of Blueprint of a Sales Champion: How to Recruit, Refine and Retain Top Sales Performers. "She is well-poised to step into her new responsibilities." In discussing her new role, Heather stressed the customer-centric aspects of operations. "Establishing an efficient and effective back-office infrastructure helps us respond more quickly to our clients and deliver a consistent level support," she said. Resolution Systems Inc. is a strategic sales consulting firm that helps businesses develop the right talents and achieve breakthrough results. We work with a broad range of clients across North America and Europe - from small and mid-sized organizations in highly competitive markets to multibillion dollar corporations who are leaders in their field. We take a client-focused, research-based approach to our work. That means we design our services to fit each organization, rather than force-fitting an organization into an existing approach. We offer a comprehensive battery of assessments, deliver high-impact training sessions and guide companies through significant organizational decisions. For more information on Resolution Systems, visit http://www.ResolutionSystemsInc.com.